It’s an easy way to manage the payment of your property taxes and insurance premiums for your home. You don’t have to save for them separately because your property taxes and insurance premiums are included in your monthly payment. Part of your monthly payment goes toward your mortgage to pay your principal and interest. The other part goes into your escrow account for property taxes and insurance premiums (like homeowners insurance, mortgage insurance, or flood insurance). When these bills are due, we use the funds in your escrow account to pay them. Don’t worry about sending us your tax or insurance bills – we usually get a copy from your local property tax office and insurance company. If we need a copy, we’ll let you know. The Minimum balance we are allowed to keep in your account. How do we get those amounts? 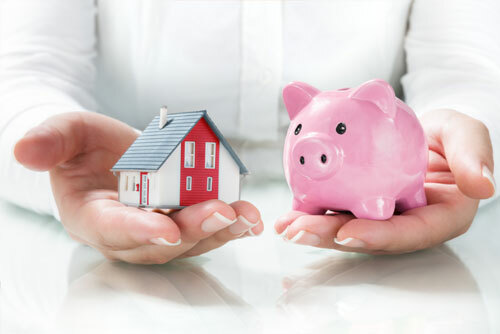 First, we estimate the amount over the next 12 months that you will owe for your property taxes, homeowners insurance and other expenses you have in connection with your mortgage, such as; private mortgage insurance and flood insurance. We get these amounts from your loan closing documents, local property tax office, and insurance companies. Then, we add 1/12th of this annual amount to the mortgage portion of your payment, so you have one combined monthly payment of principal, interest, taxes and insurance. Next, to help you plan for potential increases, we calculate your minimum required escrow balance. A minimum balance must be maintained in your account at all times, as allowed by RESPA (Real Estate Settlement Procedures Act) regulations. This amount can be up to two months of escrow payments. Did you know that even if you have a fixed rate mortgage, your total payment can change from year to year? This is because property tax amounts and insurance premiums for your home can, and often do, change year after year. Tax and insurance premiums change over time. We are required to review your escrow account each year to make sure you’ll have enough to cover your tax and insurance bills. During your review, we calculate how much will be in your account each month for the next 12 months. If at its lowest point, during the 12-month period, the balance is projected to be below the minimum required amount, you’ll have a shortage. If at the lowest point it is projected to be above the minimum balance, you’ll have an overage. These calculations determine whether your monthly escrow payment will increase, decrease, or remain the same. Your yearly Escrow Account Disclosure Statement which is performed during the anniversary month of your loan, can be accessed online, from our website. Please click here to view or register for access using eStatus Connect. Your statement can be found under Statements/Documents/T&I Disclosure. An email notification will let you know when your new statement is available for review. Your coupon book also contains your Escrow Account Disclosure Statement with detailed accounting of your escrow since the last review (past 12 months) and if you have a shortage, deficiency, or a surplus, which could be refunded to you. If you have any questions concerning your annual escrow statement, please contact Customer Service at (800) 448-4190, Monday through Friday, 8 am to 4:45 pm, CST or by email to custser@stanmor.com.